Sjӧgren’s syndrome is estimated to affect 1% of the population; however, it’s also considered to be under-recognized due to its generic symptoms. 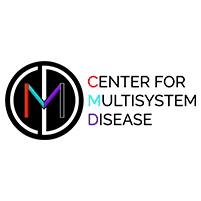 Dr. Schofield at the Center for Multisystem Disease specializes in diagnosing Sjӧgren’s syndrome, which is important because many doctors mistake Sjӧgren’s for fibromyalgia. As a result, most patients struggle with their symptoms for 10 years before getting an accurate diagnosis. If you have questions, call the office in Denver or schedule an appointment online. Sjӧgren’s syndrome is an autoimmune disorder that predominantly develops in middle-aged women, affecting nine women for every one man. However, in a younger group of patients, Sjogren’s syndrome may show up first as dysautonomia. When you have Sjӧgren’s syndrome, your immune system attacks and destroys glands that produce tears and saliva in your eyes and mouth and elsewhere in your body. Sjogren’s system may also affect other organs in the body, including the nervous system, lungs and kidneys. What are the symptoms of Sjӧgren’s syndrome? The hallmark symptoms of Sjogren’s syndrome are dry eyes and dry mouth. However, these symptoms may not be the first or the only symptoms you develop. In fact, in some patients, the first symptom of Sjӧgren’s may be autonomic neuropathy, which may present as postural tachycardia syndrome (POTS). Many patients suffer from chronic pain and fatigue, which is why Sjӧgren’s is often misdiagnosed as fibromyalgia or chronic fatigue syndrome. When you have Sjӧgren’s syndrome, you’re also at a higher risk of developing lymphoma (cancer of the lymph nodes), which occurs in 4% of patients. Preservative-free artificial tears during the day and ointments while you sleep can improve dry eyes. A prescription medication, Restasis®, also relieves eye symptoms. In some cases, you may need to consult an ophthalmologist, who can insert punctal plugs that block tear drainage or create customized eye drops made from your own plasma. Dr. Schofield may recommend a variety of over-the-counter products, such as a special toothpaste, mouthwash, mouth spray or lozenges designed to relieve a dry mouth. Prescription medications are available if these treatments don’t help. Medications that target the immune system may be recommended when organs are involved, including the autonomic nervous system. Don’t ignore chronic dry eyes or a dry mouth — call the Center for Multisystem Disease or use online booking to schedule an appointment, obtain an accurate diagnosis, and get started on treatment that relieves your symptoms.